A Variable Neutral Density Filter Anyone? Summary – Neutral density (ND) filters make it possible to use shutter speeds that are slow (-er than without them). Think cotton candy water, streaming clouds, fireworks. As compared to a normal ND, a variable ND allows you to vary the amount of shutter speed slow-down to suit the subject. Often the sun doesn’t cooperate with us. The problem is typically one of contrast extremes – dark shadows contrasted with bright overblown highlights, a situation that our eyes can deal with but a camera’s sensor (or film) can not. What do we do? Controlling the contrast range over a small area is easy. If you’re in the forest, forget about it – come back another time. 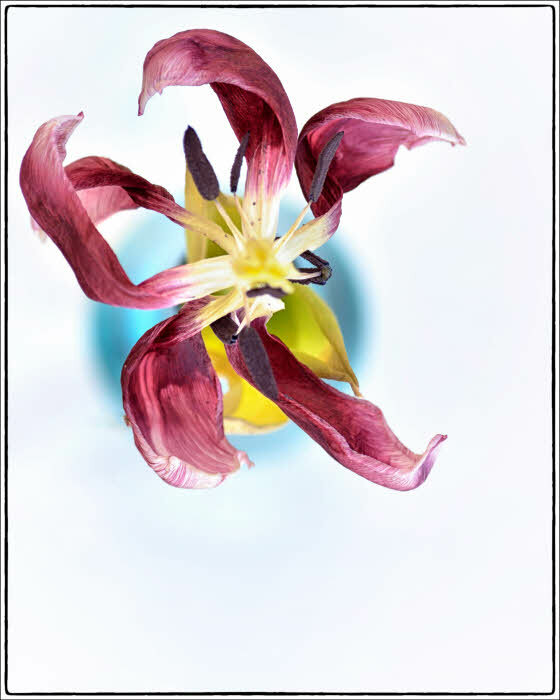 To control the contrast in a small area, you can use a diffusion disk. Shown below is a 5 in one collapsible disk. The diffusion part is the semi-transparent whitish portion. The outer portion is a reversible cover that serves as a reflector (black, white, gold, silver) when installed over the diffuser portion. The entire kit & caboodle folds up into the carrying case at lower left. One could improvise this. To use it, you simply position it between the light source and the subject. Farther away from the subject causes a deeper shade; closer provides a more natural light but diffused (evenly distributed). 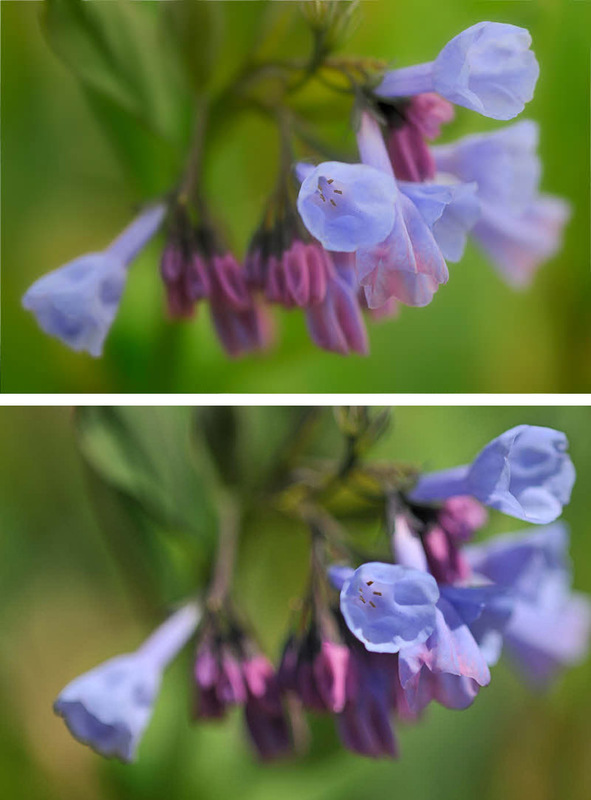 An example of with/without is shown below in a pair of bluebell photos I made last spring to demo why one should have such a disk in their bag of tricks. These two images were made seconds apart. The sole difference is that the diffusion disk was used for the top image. The above TED talk is part 1 of what evolved to a four-part series. “One who develops future intellectual pursuits by understanding and building on the research and works created by notable thinkers of the past”. Unlocking a tablet device with a finger swipe? Putting beveled edges on computer tablets? or?? the list goes on…. What if Henry Ford had patented human transport via gasoline powered wheeled vehicles? Or the Wright brothers – human transport via powered flying machines? What if I had patented “Adaptive shortest path routing” (look it up in one of the Bell Lab Tech Journals circa 1973)? It’s at the heart of all modern digital communications – internet, phone, …. It must depend on whose foot the shoe is on…. 10,000 Hours, OR – Practice, Practice, Practice…. Camera or guitar – which will it be? Instagram & Cinemagram Apps – Is Anigram next? I’m not a big fan of most mobile phone apps. I’ve tried five animated GIF android apps. I mentioned Cinemagram in the title. None of these were shot with animation in mind. I’ll try to think of it in the future.